Melvina C. Bares, 90, of the Harbor Club, Port Washington died Tuesday, March 6, 2007 at Columbia St. Mary’s Hospital, Ozaukee Campus, in Mequon following a sudden stroke. 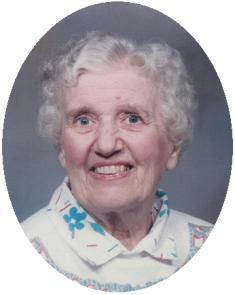 She was born on the family farm in Belgium, Wisconsin on March 11, 1916 to Nicholas and Mary Burmesch Ronk. On November 20, 1941, she married Alois J. Bares from Holy Cross at St. Mary’s Catholic Church in Lake Church. He preceded her in death on December 24, 1984. They moved to Port Washington in 1955, living on West Chestnut Street. Most recently she was a resident of the former Marian Heights and the Harbor Club in Port Washington. Always loving, helpful and kind is the way she will be remembered by family and friends. She was a homemaker and a member of St. Mary’s Church and St. Mary’s Christian Women in Port Washington. She is survived by her children, Diana (Larry) Verheyen and Linda (Gary) Cooper, both of Port Washington, David (Linda) Bares of Hubertus and Dan (Denise) Bares of Olympia, WA, nine grandchildren, one great-granddaughter, her brother Art Ronk of Belgium, nieces, nephews, other relatives and friends. She is preceded in death by her husband and her brother LeRoy Ronk.